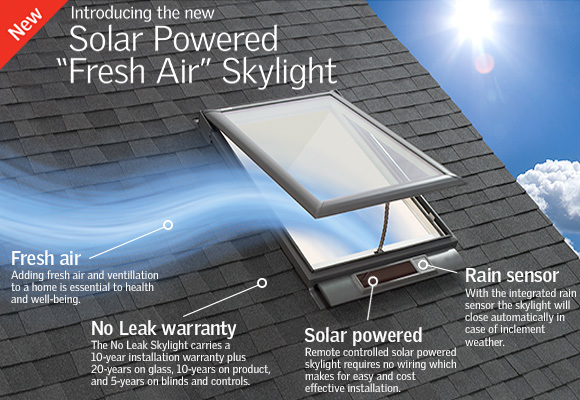 Velux notes that this product qualifies for the Residential Energy Efficient Property Tax Credit, which could lead to $850 in savings. Fresh air skylights are helpful in weather-tight homes. They provide air exchange, help with cooling in the summer, and of course, provide much needed light during long winters. Read more on the Velux website or watch the video below. VSS Consumer Video from veluxusa on Vimeo.